We are excited to announce that Jessica Callahan, a Center volunteer and recent Tulane University graduate, will be joining the Center as our Directory Administrator. She will help to manage and promote the upcoming LGBT NOLA Directory with constituents, businesses, and local resources. In fact, it was Jessica’s role as a student at Tulane working on an independent LGBTQ Directory that pushed our project forward, united the LGBT NOLA Directory became even better than we could have imagined. Jessica Callahan lives in New Orleans. She has a B.A. in Linguistics and Gender & Sexuality Studies from Tulane University, and her research interests include discourse analysis, queer theory, and radical pedagogy. She is interested in the intersection of community organizing, critical analysis, and art. In addition to her position at the Center, she directs Patois: the New Orleans International Human Rights Film Festival, and interns at the Press Street Community Arts Center. The Center decided to hire our first employee in almost a decade because, with a mission that focuses on economic justice, we believe that people should be compensated for their work whenever possible. Additionally, when we looked back on our history, we found that our most productive periods were those when we had paid staff; in order to complete our goals, the Center can no longer operate as a solely volunteer organization. 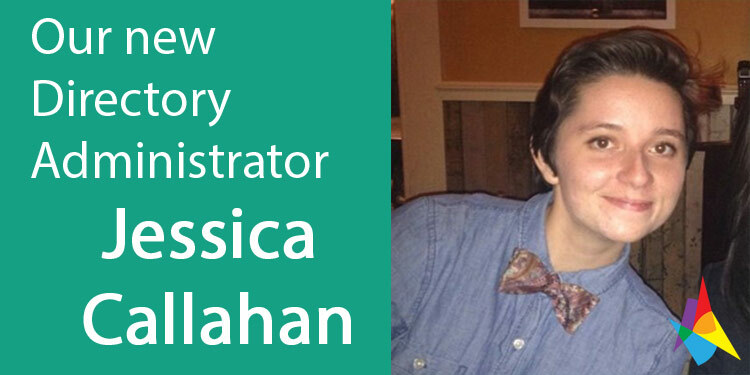 Jessica’s position as a Directory Administrator is a first step towards raising the funds necessary to hire full time staff; we look forward to the day when we have multiple people working full time to make the Greater New Orleans area a place full of empowered and resourced LGBT communities.